Joining his colleagues Reps Cruz and Pafford, today Senator Dwight Bullard echoed the call for Rick Scott's Education Commissioner to step down. This morning Representative Janet Cruz (D-Tampa) and Representative Mark Pafford (D-Palm Beach) stated that in light of recent scandals, Tony Bennett should step down from his position at the head of Florida's Department of Education. 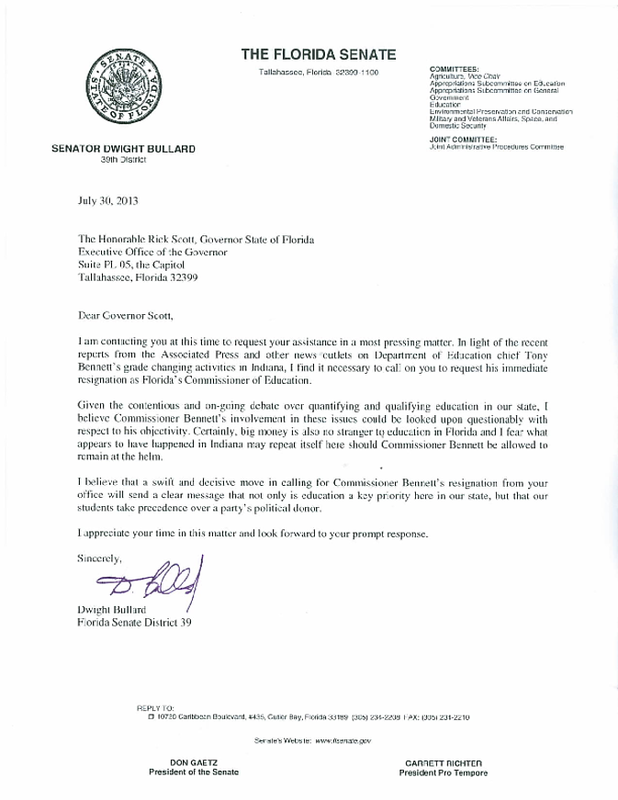 This afternoon Senator Bullard penned a letter to Governor Scott urging him to request Bennett's immediate resignation.